The Japanese feature phones are an evolution of mobile devices all unto themselves. As such, HootSuite engineered a beta version of a mobile app specifically for the unique functionality. HootSuite saw immense growth and popularity in Japan which is now the second largest userbase for the HootSuite social media dashboard. In May of 2010, CEO Ryan Holmes visited Tokyo to establish relationships, meet customers and learn the unique expectations of the market. As a result, we’re thrilled to have a fully-localized version of HootSuite on web and mobile. Feature-phone enthusiasts can access and edit HootSuite tabs and streams, plus tweet, search, monitor, etc. all from a simplified keitai interface. The specific style of use and functionality of the Japanese feature phones required an owl bred just for Keitai. Often called ‘galapo phones’ because they evolved so differently from phones commonly used elsewhere in the world, the keitai culture is a unique behavior of mobile phone use. Talking on cellphones in public is considered incredibly impolite, and sending messages outside of networks can be very expensive, so many of the features included on the phones reflect the different type of use, including: live streaming of TV and radio, PVR, E-money services (to give the phones the capability of credit or debit cards) and a host of other services and technologies. The hundreds of manufacturers of these phones reflect the proliferation of the devices, and there are as many features to match. Check out this Wikipedia article, titled Japanese Mobile Phone Culture to learn more. 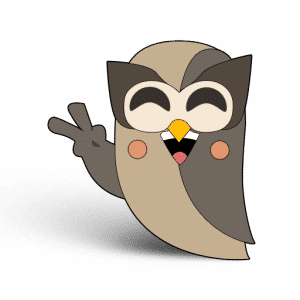 The Japan-specific app from HootSuite lets users access Twitter – which is experiencing rapid adoption in Japan – and mixi, the most popular social network in Japan with over 20 million users. Japanese users who add mixi on HootSuite can post mixi voice comments and view friends. In the future, users will be able to send direct messages, post schedule messages and more. The new HootSuite for keitai is available on phones from Softbank, who are also the only official carrier of iPhones in Japan. 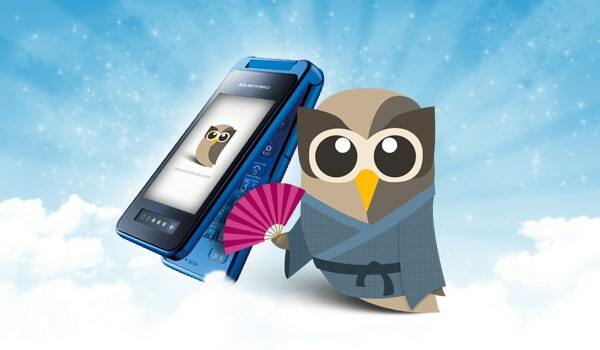 Softbank keitai users can download a Java app for HootSuite right to their phone. This app will let the user store their username/password on the phone for quick and easy logins. Users can Tweet, view streams, add streams/tabs, upload images, etc. And there are already plans for other features – like scheduling – in the near future. Since these phones are only available in Japan, you’ll find that all of our help resources are in Japanese. For all the ex-pats out there that need help in English, feel free to send us a note @HootSuite_Japan in English and our bilingual help team will get back to you.